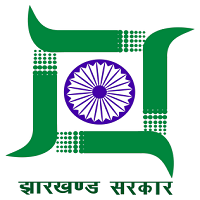 The Jharkhand Staff Selection Commission (J.S.S.C.) has been constitued by the Jharkhand Staff Selection Commission Act 2008 (Jharkhand Act 16, 2008) and it has been published vide Gazette notification no. 829 dt. 6 December 2008 of Jharkhand Government. Jharkhand Act 2008 has been amended by Jharkhand Act 03,2011 and Jharkhand Act 19,2011; published vide Gazette notification nos. 153 dt. 24 February 2011 and 687 dt. 11 October 2011 respectively. Jharkhand Staff Selection Commission (JSSC) has released notification for filling up 265 vacancies for the post of Lower Division Clerk through Jharkhand State Field Clerk Limited Competitive Examination – 2017 (FCLCE-2017). Selection Process will be made on through Written Test & Typing Test. Job Title : – Lower Division Clerk Posts. No. of Post : – 265 Posts. Eligibility : – Intermediate/10+2 Pass and typing speed in Hindi 25 wpm on Computer. For more details Read Official Notification. How to Apply : – Visit http://jssc.in/ to Apply Online Application from. Read Official Notification. SBI Recruitment 2019 – Apply Online for 8904 Clerk Job in SBI. Indian Army Recruitment 2019 Apply Online Soldier General Duty, Soldier Clerk & Various Posts.